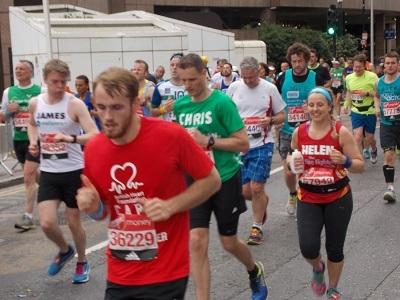 On the morning of the race, volunteers and charities take their spots along the route in eager anticipation of yet another carnival of running. 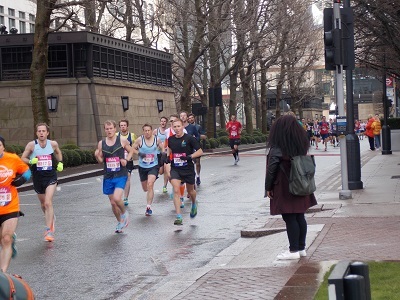 People were enticed outside with the wonderful warm weather and began to take their positions along the route . 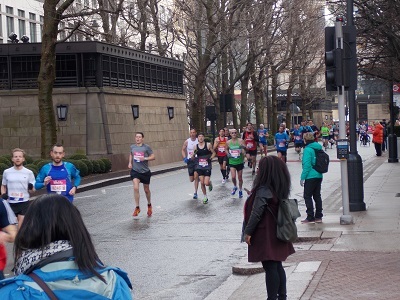 The spectators on the west of the Island have the benefit of watching the runners going down Westferry Road and returning via Marsh Wall before the runners head into Canary Wharf. 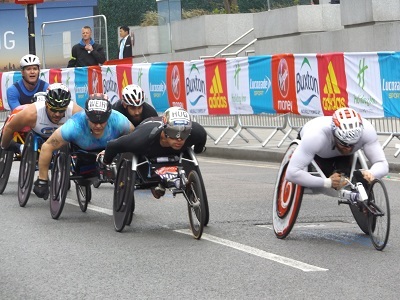 The elite wheelchair races are the first to start and finish and they raced around the Island at great speed, in an exciting finish Britain’s David Weir won his eighth London Marathon in the men’s wheelchair race. 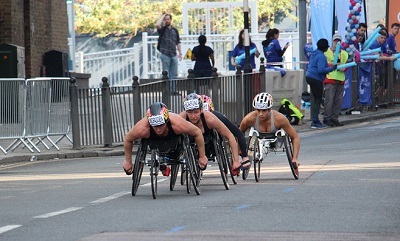 Australia’s Madison de Rozario won her first-ever London Marathon to take victory in the women’s wheelchair race. 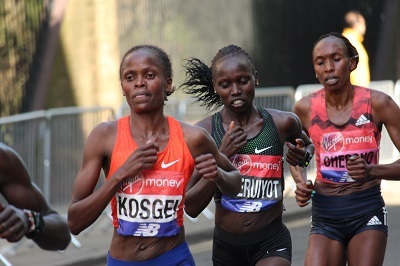 Kenyan Vivian Cheruiyot won her first London Marathon with Kenya’s Brigid Kosgei second, Ethiopia’s Tadelech Bekele third and Great Britain’s Lily Partridge finished a creditable eighth place. 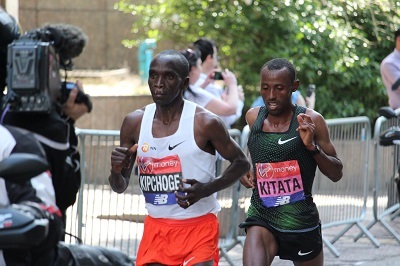 The men’s race was another win for Kenya with Eliud Kipchoge , Ethiopa’s Tola Shura Kitata was second and Britain’s Mo Farah finished third in a new British record. After the elite races, the crowds on the Island get bigger with family and friends of the runners of the mass race taking their places along the route, other spectators come out in large numbers to offer support to the runners who face their own particular challenges, it is the mix of serious runners, celebrities, fancy dress runners and fun runners make the marathon the great success it is. 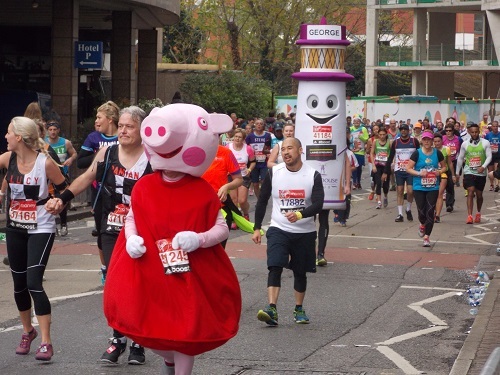 Many of the runners run for their favourite charity and since 1981, competitors in the race have raised nearly 60 million pounds for various charities. 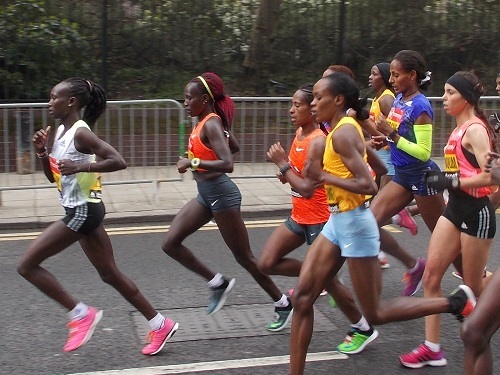 The race tends to attract the world’s greatest men and women marathon runners and this year is no exception. 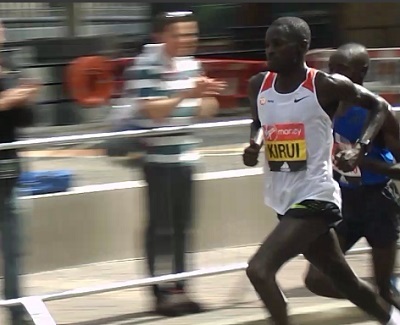 Daniel Wanjiru will defend his London Marathon title against three of the greatest distance runners ever. 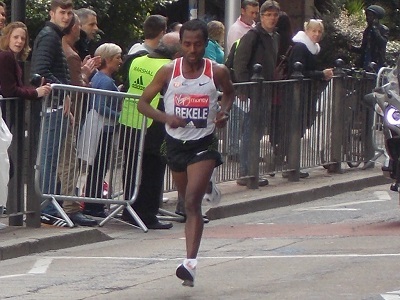 Ethiopian track legend Kenenisa Bekele and Olympic gold medallist Eliud Kipchoge will both be on the start line alongside Britain’s multiple world and Olympic track champion Mo Farah. 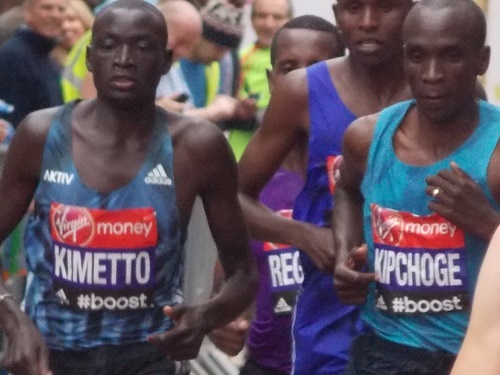 Other runners include Stanley Biwott, Abel Kirui, Bedan Karoki , Ghirmay Ghebreslassie and Britons Tsegai Tewelde and Jonny Mellor. 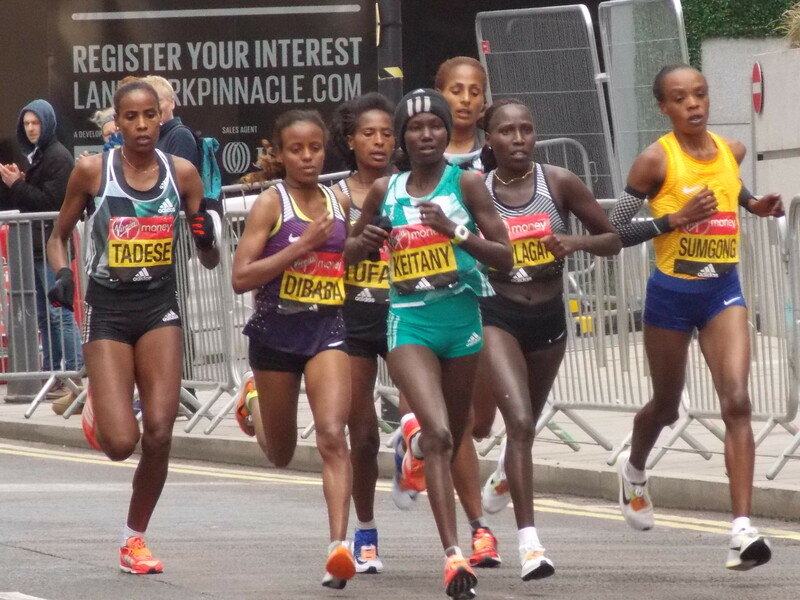 The women’s elite race is just as competitive, Mary Keitany will attempt to smash Paula Radcliffe’s outright marathon world record, set 15 years ago but faces strong challenges from Tirunesh Dibaba, Gladys Cherono, Vivian Cheruiyot, Brigid Kosgei, Mare Dibaba and world champion, Rose Chelimo of Bahrain. 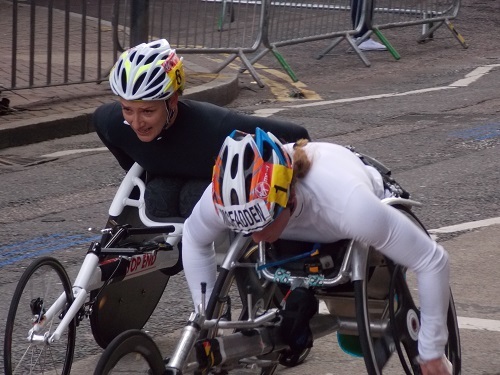 Charlotte Purdue, Tracy Barlow and Lily Partridge will be the main British hopes. 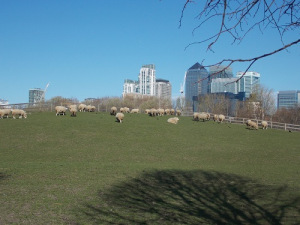 Just past Mudchute DLR you will see the entrance to Mudchute Farm and Park , one of the biggest inner city farms in Europe. 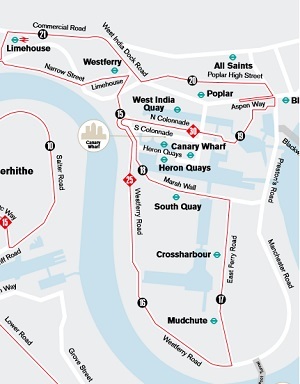 A short run down along Marsh Wall to South Quay DLR, is followed by a run past the International Hotel and Novotel to mile 18, there is a quick switchback into the Canary Wharf estate for Mile 19. 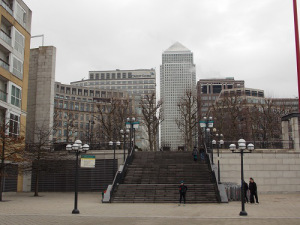 Canary Wharf has become a popular watching base for many spectators due to its proximity to the transport system and over 200 shops, bars and restaurants. 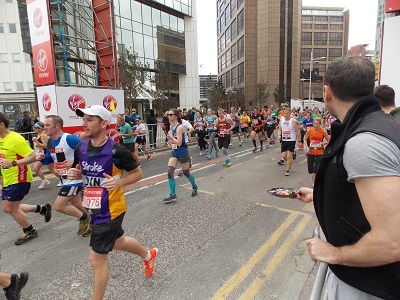 Some of the benefits of watching the Marathon on the Isle of Dogs is that you can actually watch in comfort rather than being part of the massive crowds in Greenwich and Tower Bridge. 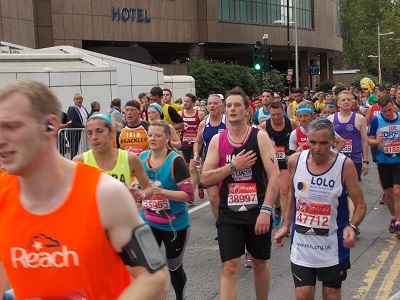 You also have easy access to the transport system and access to many pubs, bars and restaurants. To make sure you do not miss any excitement, here is the time guide. 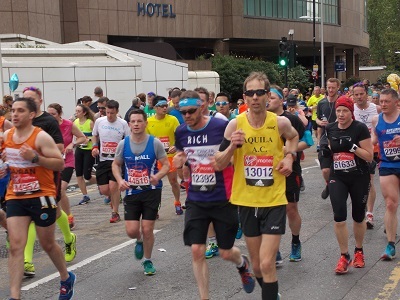 Good luck to everyone taking part in the race and everyone who contributes to one of London’s greatest sporting events. 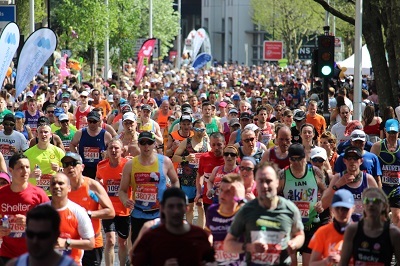 Every year, thousands of marathon runners make their way around Canary Wharf and the Isle of Dogs in the London Marathon. 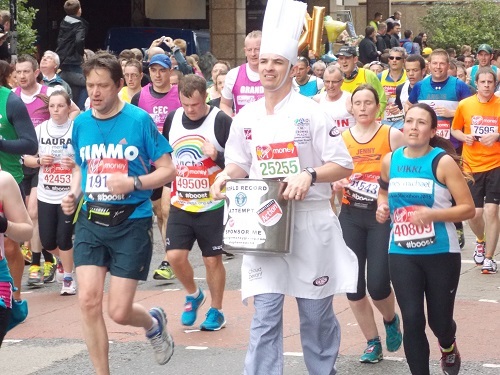 The marathon is an event with global interest and the organisers of The Big Half are hoping their brand new event will become as popular. 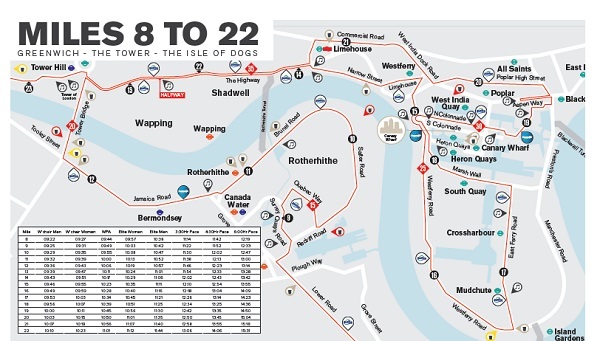 The route for The Big Half started by Tower Bridge by the Tower of London and went east to Canary Wharf before doubling back to cross Tower Bridge and follow the river to finish in Greenwich. 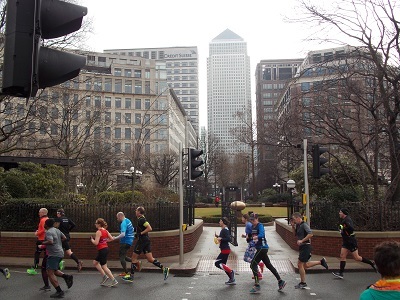 Remarkably after the considerable snow and bad weather, it was bright sunshine as the runners made their way around Canary Wharf. 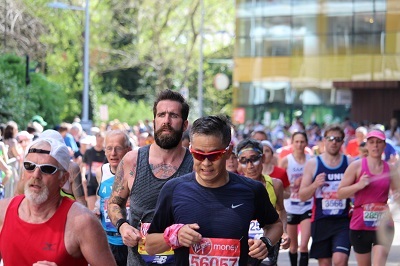 There was real doubts whether the event would go ahead after the terrible weather and the small crowds perhaps reflected some of the uncertainty. 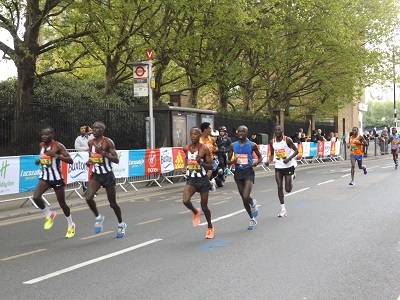 Amongst the elite runners were multi gold medal winner, Sir Mo Farah, Callum Hawkins and Daniel Wanjiru from Kenya. 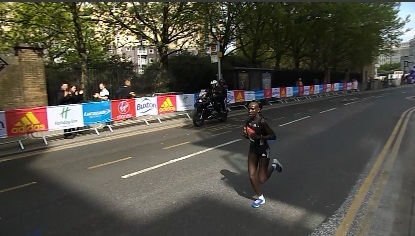 The elite women included Alyson Dixon , Sonia Samuels, Charlotte Purdue and Lily Partridge. 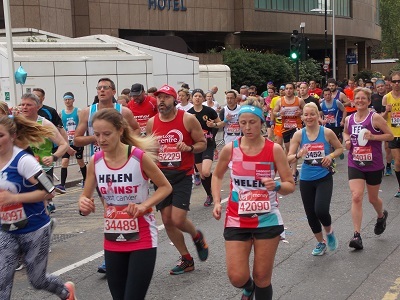 Unlike the London Marathon, the club and fun runners in the Big Half arrived in Canary Wharf quite early in the race and were in good spirits and full of energy. 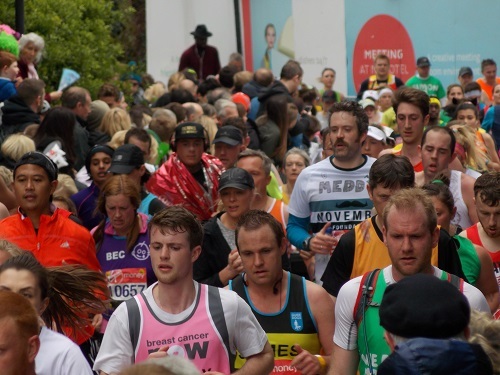 The organisers behind the Big Half, hope the event will become a brand-new world-class mass participation event, featuring the half marathon (13.1 miles) and other events. 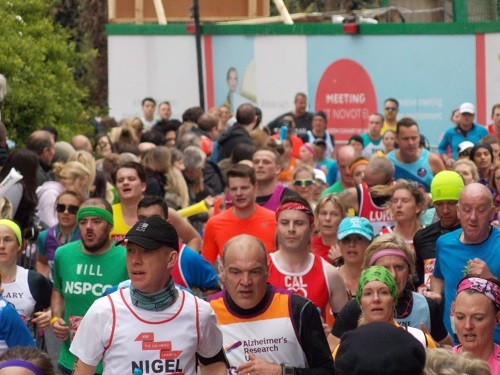 They hope the event will show how sport and community can come together to improve health and wellbeing. 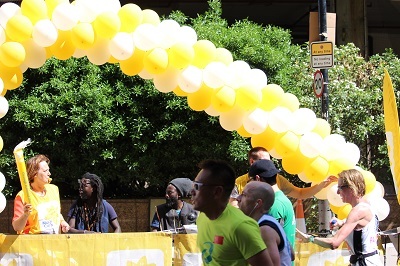 The Big Relay part of the event is exclusively open to community groups from the host boroughs of Southwark, Lewisham, Tower Hamlets and Greenwich whose runners will run in teams of four, each person will run one leg of The Big Relay – over distances ranging from one mile to five miles. 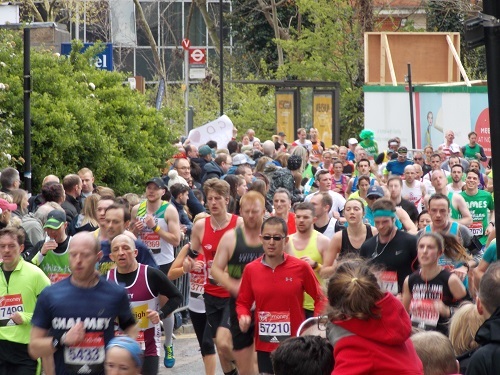 The Little Half: a fun, family friendly mass participation event that was due to take place over a 2.4 mile course was unfortunately cancelled this year because of the weather. 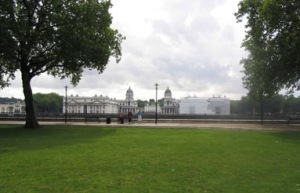 However, The Big Festival in Greenwich with a huge range of food, music and entertainment is due to go ahead. 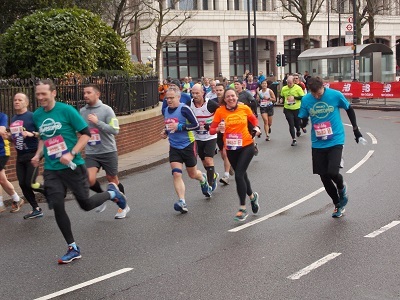 Due the weather, the Big Half was quite low key but with normal weather conditions in the future, the event will hopefully go from strength to strength and showcase some of the delights of Southwark, Lewisham, Tower Hamlets and Greenwich . 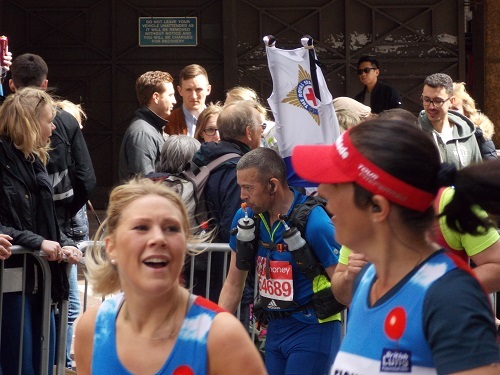 I was delighted to receive a piece about the London Marathon by contributor, Dawn Wedajo which helps to explain why the event is so special. 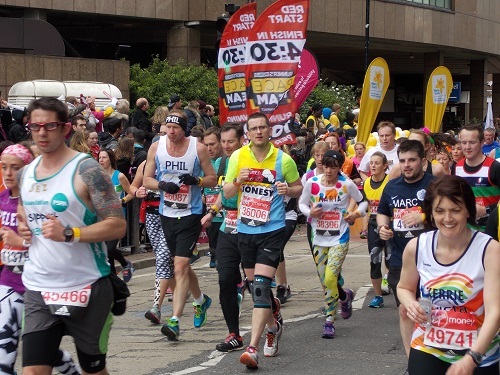 In many ways it brings people together to offer encouragement to the thousands who are running for a variety of reasons and causes. 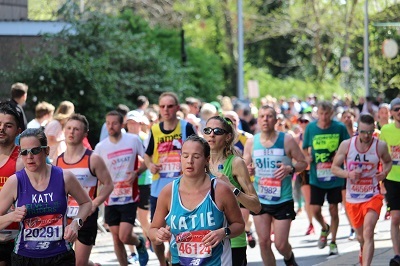 Runners enter the Island at around 15 miles and depart at around 19 miles, for many runners this can be a time of real struggle and they tend to need some encouragement. 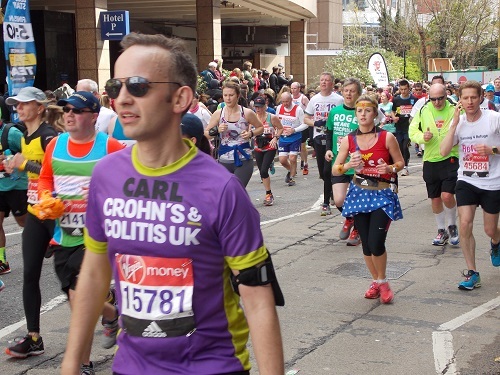 This post also gives me the opportunity to feature some of these runners who are an inspiration for the many thousands that watch the race each year. 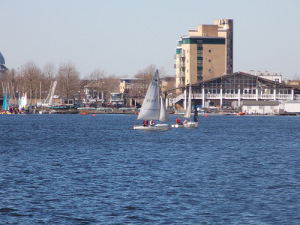 Sunday morning, the temperature was fairly cool although better than what had been forecast. 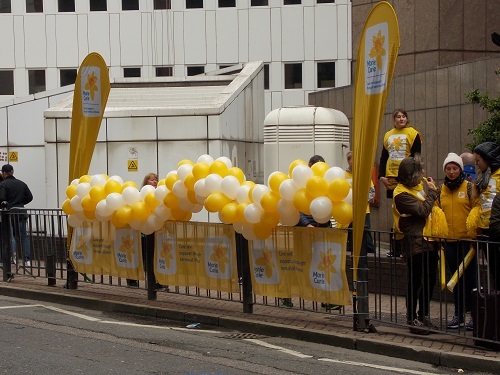 I managed to bag myself a great vantage point along with many others on the East Ferry road. I could hear the rumble of trains in the background even amongst the lively chatter in the crowd. More and more people began to arrive and the atmosphere began to build. Families, couples and friends. 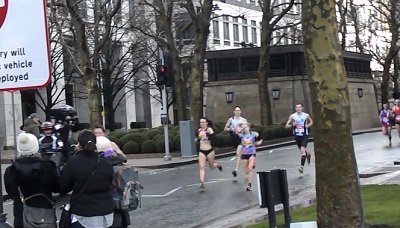 Some of the younger children held plastic batons and as the athletes came into view the batons were used to make as much noise as possible to spur the runners on their way. Others munched on burgers and ice cream as they watched even though it wasn’t a particularly warm day. 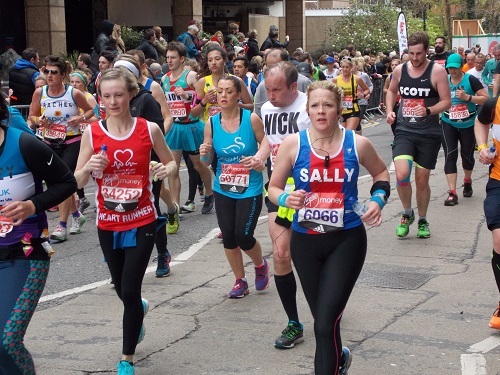 I often feel humbled and inspired after watching the London Marathon 2016. 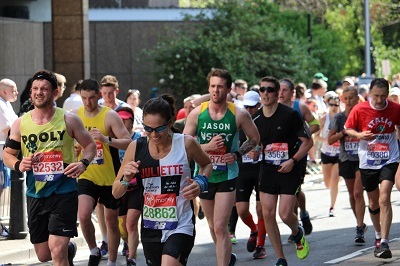 It was fantastic to see so many individuals of all ages and abilities running, for me that’s the beauty of witnessing this incredible event up close and personal. 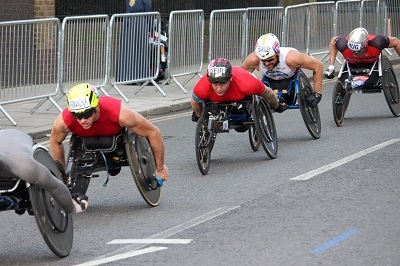 Seeing amazing elite athletes as well as fun runners just makes this day a bit more special and memorable. 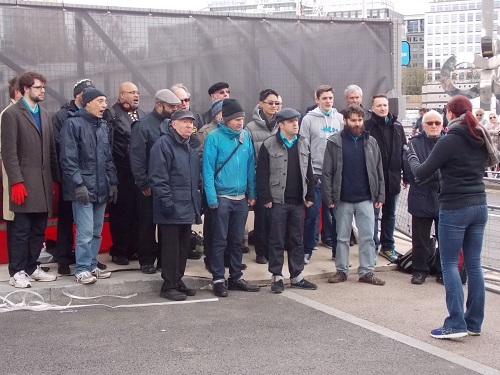 Another important aspect of the event is that it brings out a sense of community. 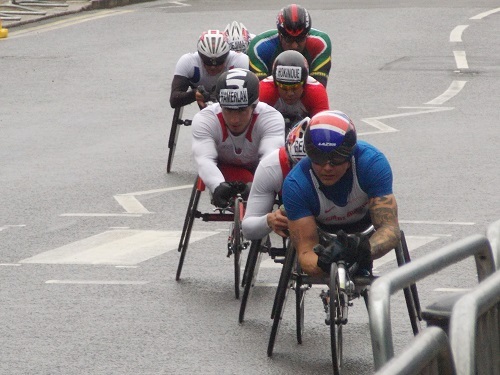 The crowds yell their support for athletes with enthusiasm, encouraging words, loud applause and rapturous cheers. From time to time the sun made brief appearances from behind thick grey clouds. 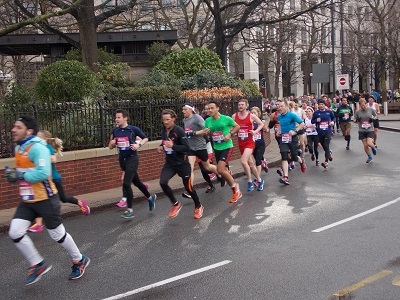 Still, the runners kept coming, many tired, some slowed their pace considerably others were exhilarated but collectively all were focused on completing all twenty-six gruelling miles to reach the finish line. 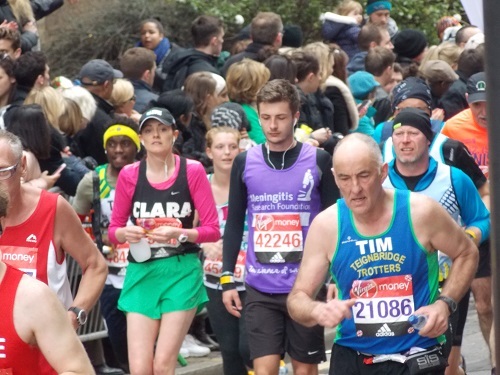 I’m not much of a runner myself but I was inspired never the less. Who knows next year It could be my turn. 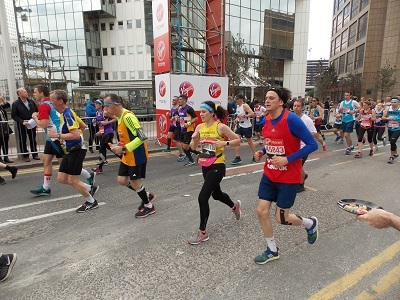 Many thanks to Dawn for her contribution and congratulations to all who took part in the London Marathon.